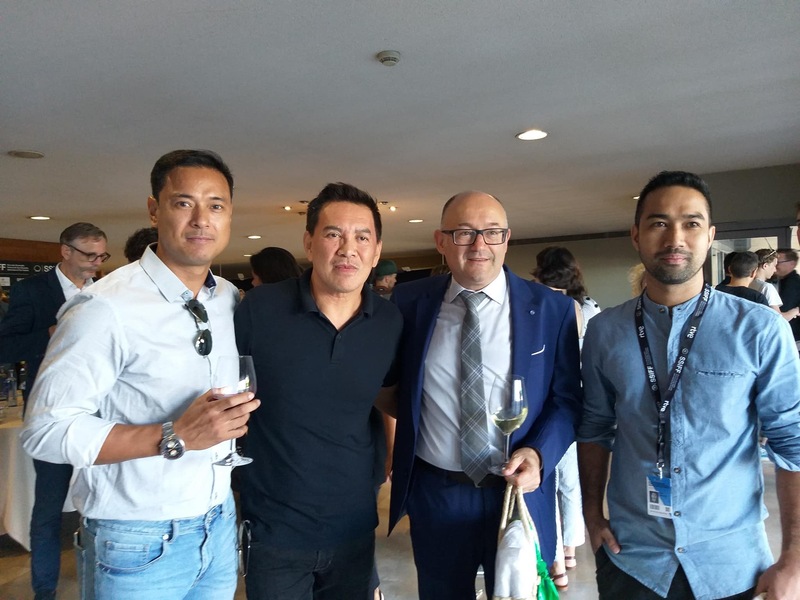 First of all, I would like to thank my mentor, Director Brillante Mendoza, for giving me the rare opportunity of joining him at the San Sebastian Film Festival in Spain. Our film “Alpha: The Right to Kill” took part in the main competition of this festival. The film is Director Brillante’s first time in this festival, and like his past films that were able to join other highly acclaimed film festivals, it has garnered attention and great appreciation from the viewers. The San Sebastian Film Festival ran from September 21 to September 29. I still cannot believe that I got to experience what I did in Spain and I do not know how to rightfully express my feelings until now. Our film won the Special Jury Prize Award, which is the second most important award at the San Sebastian Film Festival. We dedicate this film to all the Filipinos in the world. I would like to thank my mentor Brillante Mendoza for letting me accept the Special Jury Award on his behalf. I was very nervous and anxious, but I was able to get through it. Good thing I had notes with me so I was able to say everything I needed to say. I probably looked disheveled, but it is okay. It is like that when you are nervous while carrying the flag of your country. It was a great honor to have this experience because it is not easy to enter big film festivals such as this one. We dedicate this film to all the Filipinos and our country, the Philippines. Thank you for letting us tell a great story. I would also like to thank Armando Bing Lao for his guidance through the Found Story School of Filmmaking. Thank you to Center Stage Productions and the whole production staff and cast. This is the fruit of our labor. I will never forget this special day as we give recognition to the Philippines. We will continue to celebrate the hundred years of Philippine cinema. While I’m off to Busan, then Tokyo, then Cairo…and Singapore. See you whenever! I will be here in Busan Asian Film School from March to October 2019. See you soon! 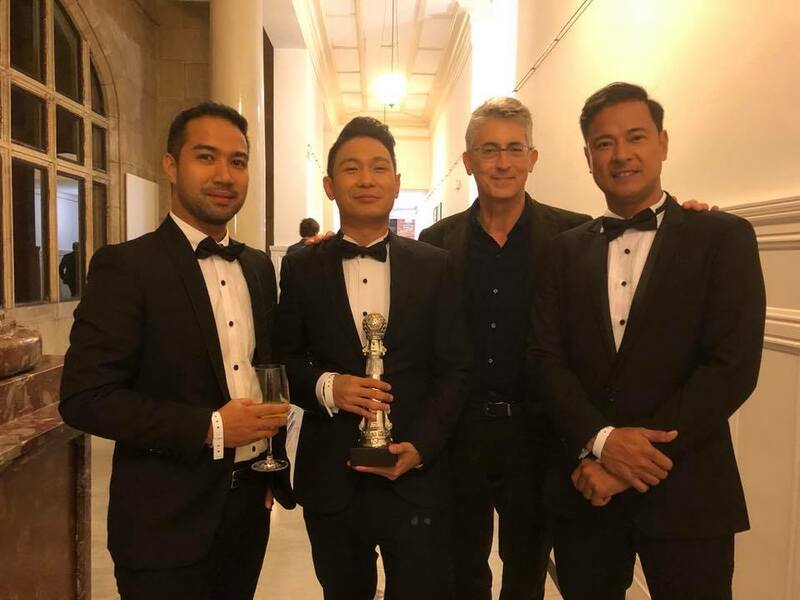 Congratulations Carlo, keep making the Filipinos proud! That’s amazing!! Congratulations!! Right on brother. Thanks brother, see you soon! Incredible news! And well deserved. Can’t believe you got to meet Alexander Payne! Best of luck with the rest of your festival run. A truly brilliant film! Thanks Phil, I hope to collaborate with you someday soon. Congratulations Carlo! and congratulations to Director brilliante Mendoza. It was a great pleasure meeting you both at the Cairo international film festival. Keep taking beautiful pictures & videos, Carlo! And come visit again! Thanks Omar. We are happy to meet you in Cairo. Thank you so much for all your help. See you again. That’s awesome!! Congratulations Carlo 😀 and congratulations to Mr. Brilliante as well! Great job! Thank you Heba, it was such great experience to meet you and your team in Cairo. Hope to see you again someday. what the talented and handsome guy you are??? my congratulations to you??? Nice to meet you. Spaziba! Carlo! This is awesome stuff. Congratulations on the film! Keep holding your flag up high! Proud of you! Thanks man, it was great and honored to be learning a lot with you. Hope to work with you in the future. I worked with Carlo on the set of Alpha, the right to kill. He is a great professional, with excellent problem solving skills. I hope to work with him and director Brillante Mendoza again in the future.